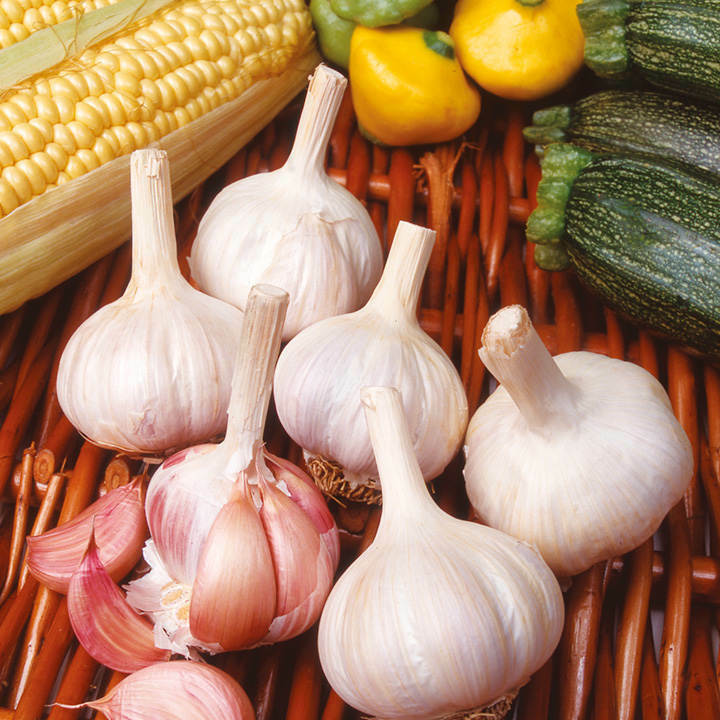 Garlic is about as French a vegetable as you can get. Extensively used in French cuisine, you can buy smoked, fresh, green, violet, pink, giant and all sorts of garlic at most markets throughout France with regional specialities from the north to the south. As well as the traditional ‘softneck’ garlic varieties, we also have some superb ‘hardneck’ types (these are very hardy - ideal for northern areas - and are widely regarded as the finest tasting of all garlics!). Plant January-March; harvest June-August. Allow 10cm (4") between cloves and space rows 15–20cm (6–8") apart.